Today, Friday 31st July 2015, The Duke of Rothesay took a tour of Dunnet Bay Distillery, the thriving Caithness distillery, where husband and wife team, Martin and Claire Murray, handcraft Rock Rose Gin. This acclaimed gin features botanicals that are hand foraged from local cliffs and forests to create a gin with a unique and award-winning flavour profile. Prince Charles took the opportunity to visit the small botanical dome at this rapidly growing, independent distillery and learn more about the juniper regeneration project with the Caithness Biodiversity Group, partly funded by the distillery, which aims to bring back fruit-bearing juniper bush to the area. This photo was taken to capture the whole school before it is demolished in 2016. The new primary school will be part of the age 3 to 18 campus being built behind the school. The photo is two pictures taken by a camera slung from a kite and then stitched together. The Wick High Community Campus incorporates the High school, Pulteneytown Academy Primary, South School Primary, swimming pool and library. The new Primary school wil be called Newton Primary. Dunnet Beach Clean - Can You Spare One Hour? Sometimes you arrive and Dunnet Beach looks in pristine condition but sometimes if you look hard you can see bits of rubbish - cans, plastic of all kinds, old nets, and other items washed ashore. Volunteers from time to time go and pick up as much of the rubbish as they can. If you can spare even one hour on Wednesday to pick up some rubbish using the sacks and gloves supplied you will help keep Dunnet beach looking good. The weather turned out to be much better than expected with no rain and ended with sunshine. The clans Gunn and Sinclair had their gatherings which happen every few years and this year coincided. Heavy athletes came from several countries. The committee of the Canisbay and District RBLS have decided to cancel the Mey Highland Games due to be held on 1st August. The fields are waterlogged and another suitable venue could not be found. The test nuclear reactor at the Naval Reactor Test Establishment in Caithness has been officially shut down having safely completed its work. The Shore Test Facility (STF) reactor was closed down last night. As part of the Establishment, was used as a prototype to give advance notice of any potential issues or problems that might occur on board a submarine. After more than 13 years of operation, the STF reactor is no longer needed and so has been shut down in preparation for future decommissioning of the facility. Wick Green Gym - Volunteer and get fit for free! Green Gyms are all about Healthy People, Healthy Places. Come along and volunteer to help look after local green spaces and also improve your own fitness at the same time. Green Gyms are designed to improve your overall well-being at the same time as improving the local environment & green spaces through conservation & gardening activities. Highland Council Trading Standards have issued a warning of a new twist on previous cold call telephone scams, which has been termed as the ‘disconnection scam'. This recent type of scam can affect both businesses and consumers. So how does the ‘disconnection scam' work? A cold call telephone scam caller contacts an unsuspecting householder and claims to represent their telecoms provider (or telephone company). The caller states that the householder or bill payers account is in arrears and that an immediate payment has to be made in order to prevent the telephone line from being disconnected. Join Museum Mascot Peter the Penguin and natural historian Neil Redgate to learn why Museums collect and preserve biology collections. Thursday 6th August, 10.30am-12.30pm Suitable for children ages between 7 &12 years. £2 per child or FREE for members of Peter’s Pals Young Curators Club. The Highland Council's Environmental Health team is raising awareness of the dangers from ticks, in particular the serious illness known as Lyme disease which can be transmitted to humans through a tick bite. Ticks are very small spider-like creatures which feed on blood. In the wild they feed on animals like deer, foxes and rabbits and can be picked up by domestic pets such as cats and dogs and will bite humans if transferred onto skin. Free removal tool and leaflet available from Highland Council. A walk on a nice day to see Nybster Broch show it is now over-grown with grasses and wild flowers. A few years ago archaeological digs revealed the layout in great details as can be seen in previous photos. We took the opportunity to get the kite cam out and hovering over allowed us to get a birds eye viewof the current conditions. Caithness Archaeology: Aspects of Prehistory by A. Heald & J. Barber. Just published and long awaited a book on Caithness Archaeology and is available now from Whittles Publishing at a cost of £20. 176 pages with 85 photos, diagrams and maps. Transform John O'Groats Project 2011 - the Arty days. All the Caithness bands joined forces for an evening of music at Market Square, Wick on Saturday 18th July 2015. Come along and have some dancing fun to live music or sit and listen. 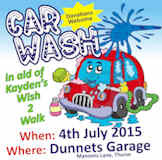 All proceeds in aid of Laurandy Day Care Centre. A Rough Guide - To see much larger photos right click the image and open in a new tab or window. Setting up the show ground was completed on Thursday afternoon and evening just ahead of the rain. It is all set despite the weather - take your boots and enjoy it all. A bright day on Thursday meant perfect weather for the camera hanging from the kite to add to this new gallery of Castlehill. There is lot to see if you walk around the flagsone trail, harbour and heritage centre. A few more photos of Sinclair castle formerly known as Girnigoe Castle taken from a camera suspended from a kite. Many rumours havebeen circulating about the county show due to the rainy weather. However all the rumours are not true. The committee has confirmed it will go ahead as usual at riverside Wick on Friday and Saturday this coming weekend. Become a young Viking and see if your team can be victorious in the different challenges to decide which team gets the glory of setting sail on a Viking raid. Limited numbers so book early to avoid disappointment. WICK RBLS Pipe Band rounded off their annual fundraising week with the ever popular fancy dress parade. Band members swapped their formal tartan garb for the outfits of well-known characters as they entertained the crowds which converged in the Market Square, last night. Also featured were dancers from the Elise Lyall School. Threatening rain held off for the grand finale to the week which also included a Scottish variety concert and a quiz among the crowd pullers. Scientists from around the world recently gathered in Thurso for an annual biological sciences meeting. The Larwood Symposium was hosted by the Environmental Research Institute (ERI) of the North Highland College UHI on behalf of the International Bryozoology Association. Delegates travelled from as far as New Zealand, Mexico, Brazil and the USA for the four day conference which included a tour of Caithness and field trip to Orkney. The delegates, biologists and palaeontologists, came to discuss their research on bryozoans, tiny freshwater or marine invertebrates. They were welcomed to the conference and to the area by Director of the ERI Professor Stuart Gibb at local museum Caithness Horizons with a drinks reception. SCHOTTEL HYDRO will manufacture and deliver the variable pitch hub for the AR1500 turbine for Phase 1a of the MeyGen tidal energy project in the Pentland Firth, under contract to Lockheed Martin. The MeyGen Phase 1a AR1500, a 1.5 MW seabed mounted turbine, is being designed and delivered by Atlantis Resources and Lockheed Martin. The MeyGen project intends to generate up to 398 MW with offshore tidal turbines by the early 2020s. July is Scams Awareness Month and The Highland Council's Trading Standards team is joining forces with Citizens Advice Bureaux to warn consumers about the risks of being caught out. Rush.dance competition kids have just competed at MJN Promotions Hip Hop Trophy day in Grangemouth. Willie Miller said, "it's awesome when your school competes hard and then the kids get the rewards, again today Rush.dance showed we are major contenders in the Hip Hop world, teachers Rebecca & Willie Miller are really proud of our achievements at this comp." Police in Thurso have planned an initiative to tackle a prevalent anti-social driving issue in the Thurso town centre, following reports from members of the public. Chair of Resources Committee, Councillor Bill Fernie said: "The council has looked long and hard at how it provides its ICT services and an outline business case was agreed in April 2013 which agreed that in future the council wanted to work with a number of suppliers to provide a range of ICT Services. We are particularly keen to make some of these contracts more accessible to small and medium sized enterprises.